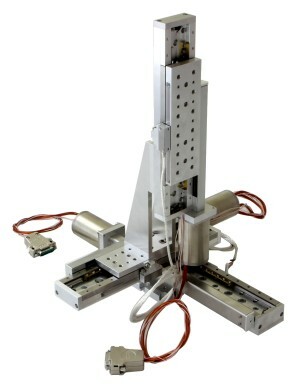 Vacuum compatible Motorized Stages are equipped with vacuum compatible stepper motor. Stages stack in X-Y configurations directly using M6 screws. Angle Bracket 2AB175V is used to mount stages for vertical translation; it is also used for X-Y-Z configurations. To mount stages on a flat surface you will need 3UBP175V base plate.